* Tickets for Touring Shows are purchased through their respective venue websites. The Second City has been laughing at love and its infinite scroll of side effects for decades. In the world-famous comedy company’s latest laughter-inducing undertaking, IT’S NOT YOU, IT’S ME. 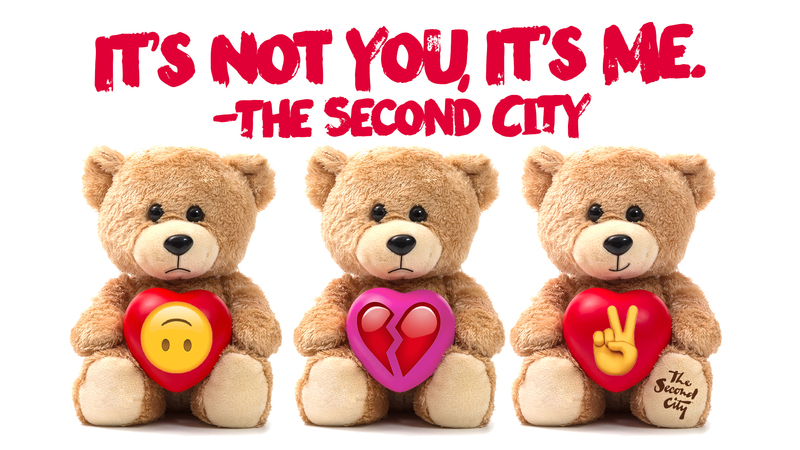 -THE SECOND CITY takes shots at heartbreak, missed connections and the mire of human relationships. Your friends, your parents, even your blind date will find something achingly familiar to laugh at, thanks to comedy’s newest generation of writers and performers…who all fit squarely into the “it’s complicated” category!